More money – better anti-doping? 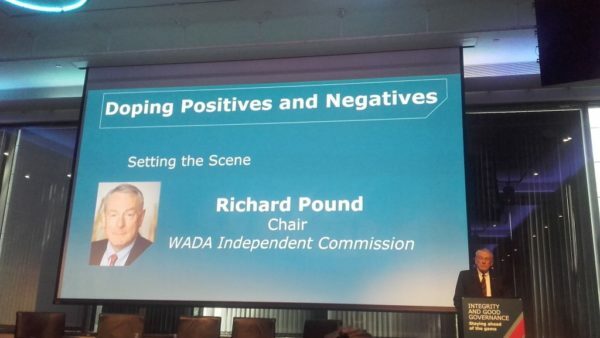 Anti-doping organisations have consistently claimed that they are chronically underfunded and would be able to perform their role better if they had more money. In this research paper, Carsten Martensen and Verner Møller assess whether increased funding of national anti-doping organisations (NADOs) results in higher doping detection rates. This is an Accepted Manuscript of an article published by Taylor & Francis in Drugs: Education, Prevention and Policy on 21 December 2016, available online: http://www.tandfonline.com/eprint/5dNTQpAWcbqDwuYuuqGD/full. 2. if that was not the case, how the anti-doping movement’s request for more funding can be otherwise explained and defended. We conclude that the available data do not indicate that increased funding leads to better anti-doping if detection rate is used as yardstick. But this does not mean that increased funding is money wasted. More money has generally led to more tests, and despite the meagre outcome in the form of more adverse analytical findings (AAFs), the procedure is still significant. It keeps laboratories busy and thus contributes to job creation. The same is true for the NADOs. It does not seem to make any practical difference what they do, but we find that the number of employees in this field is growing. So anti-doping contributes positively to the gross domestic product in countries around the world. Ever since the World Anti-Doping Agency (WADA) was established, underfunding of the global fight against doping has been a perennial issue. So when WADA’s ‘independent’ committee’s report about the lack of effectiveness of anti-doping testing was published, it was no surprise to read the committee’s complaint that national anti-doping organisation (NADO) operations were held back by ‘Unwillingness of stakeholders to provide sufficient funding of NADOs’1. The anti-doping system we have today is different from what the International Olympic Committee (IOC) had in mind when it arranged the World Conference on Doping in Sport that was held in Lausanne in 1999 in the wake of the vast doping scandal that hit cycling’s flagship race, the Tour de France, in 1998. The IOC hoped the conference would result in government approval of the IOC to lead the campaign against doping. But influential governments were unimpressed with the IOC’s previous effort to keep drugs out of sports and suspected that the conference initiative was mainly a proactive attempt to prevent political interference. So the governments would not accept the IOC as the overall leader of world anti-doping and undermined the IOC strategy2. What the governments wanted was an anti-doping organisation with direct governmental influence and which was independent of the IOC. The negotiations led to a Foundation Board composed of 50% IOC representatives and 50% government representatives. It was further agreed that by 2002, the financial burden should be shared equally between the IOC and the governments. It is not the hardest thing in the world to decide in principle to share expenses. It is much more difficult to assess the needs and decide the size of funding, and this has been a recurrent theme since WADA received its first budget. Funding for the first two years was US$18.3 million by the Olympic Movement alone3. In 2002 the WADA budget, which was now shared between the IOC and the governments, was US$17.0 million. However, not all countries contributed their due share so, of the budgeted US$8.5 million, WADA only received US$7.6 million from public authorities. The IOC matched this amount according to the agreement, so the total amount received by WADA was US$15.2 million. Despite the initial problem collecting the allotted money, government willingness to pay their share has been impressive. 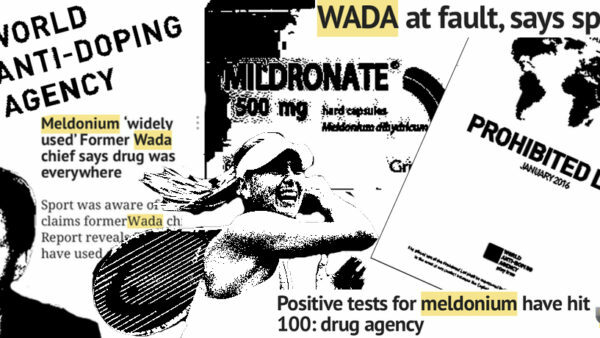 In 2004, the Foundation Board announced it would ‘look at increasing WADA’s budget to approximately US$21.7 million…to allow the agency to meet its requirements under the World Anti-Doping Code’4. In 2009, the amount invoiced by WADA was US$24.9 million, and in 2015 it had grown further to US$27.5 million. Interestingly, the government commitments to the anti-doping cause was underlined by the fact that they collectively paid more than invoiced. Thus, the income from the IOC (which paid exactly half of the budgeted US$27.5 million) and the public authorities reached the total amount of US$28.1 million, only US$200,000 short of the subsequent 2016 budget5. In light of this, we decided to explore the development in the funding of the world anti-doping campaign and the testing efficacy to see if it was apparent from the data made available by the anti-doping institutions that increased funding of anti-doping leads to better anti-doping. And if it is not the case that more funding is needed to deliver doping-free sport, how can anti-doping movement requests for more funding be otherwise explained and defended. So we began our search by visiting the WADA website, clicked the bar ‘Who we are’ and found ‘Funding’ in the menu where all published ‘Financial statements’ from 2002 to 2014 appeared. On the same page under the heading ‘Related resources’, we found all ‘Annual Reports’ for the same period. These two sources made it possible to identify annual income, how money was spent, the number of tests taken and the number of doping positives. We also took advantage of the WADA website to locate information about NADOs, as it contains a list of all WADA-approved NADOs. Unfortunately, this list did not provide entirely harmonised information and was not perfectly functional, so we decided to narrow our scope to include in our survey only those NADOs that could be identified by the following five criteria. 1. There is on the WADA list a link to the NADO’s homepage. 3. The link leads to a homepage of an anti-doping organisation or an organisation that clearly is responsible for anti-doping operations. 4. The homepage information is accessible in English. 5. It is possible to find on the homepage a minimum of two Annual Reports or two Financial Statements between 2002 and 2014. We chose these criteria based on the following considerations. First, we found it reasonable to expect WADA to have correct and up-to-date information about the NADOs at any given time. 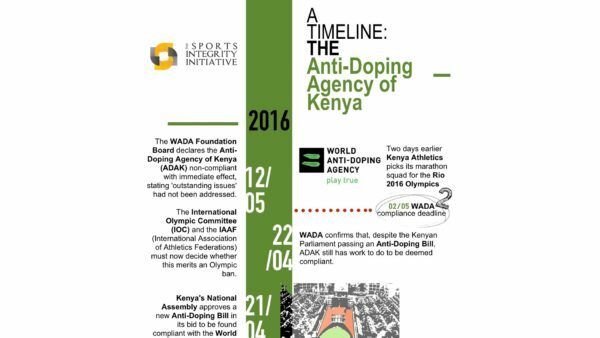 Second, by using the WADA list, it has been possible to gather correct information about many organisations in a time efficient manner. Third, restricting the survey to include only organisations that had made their material available in English helped us avoid potential mishaps from the process of decoding text in unfamiliar languages and alphabets via the use of insufficient means like Google Translate. And fourth, two annual reports or statements are the minimum required to identify development. Of the 132 NADOs mentioned on WADA’s list of anti-doping organisations, WADA provide a link to 89 of them. We checked these 89 links and found ten defunct. When the respective links were activated, six resulted in the message ‘page not found’, one was ‘under construction’, one required a login, one was ‘expired’ and one led to an incomplete website, with no active menus or bars to click on. So we left these ten NADOs out of the survey. We further excluded 22 NADOs because the links related to these transferred to homepages that had no connection to anti-doping. This reduced our sample to 57 NADOs, and when we checked the homepages for language, the number was further reduced to 42. The biggest reduction of our sample came when we checked the sites for access to at least two Financial Statements or Annual Reports in the period 2002–2014. Only 15 of the NADO homepages lived up to that. So we ended with a sample of 15 NADOs, representing 11.4% of the NADOs on the WADA list. Since it is specified in Article 14.4 of the Code, cited above, that NADOs are obliged to at least annually make a general statistical report of their doping control activities public, we were surprised to find such a low number. However, our study was not designed to explore the cost-effectiveness of the entire anti-doping system, but limited to answer the question: Does increased funding result in more effective anti-doping? For that purpose, the information presented by 15 NADOs is sufficient. Every year, WADA publishes a general statistical report, comprising all tests conducted by the WADA accredited laboratories and which are then detailed in The Anti-Doping Administration and Management System (ADAMS). Despite these reports offering an overview of all testing data, we decided not to use this source of information, because it only provides information about tests and because we noticed that the information about testing differs from the test numbers we found in the NADO reports. In order to keep a stringent method of inclusion, we chose not to fill the gaps in our NADO data by mixing in information about tests available in the WADA reports. Moreover, it should be noted that WADA’s general statistical report did not provide information about expenses, income or number of employees in the NADOs, so to build our study on these reports instead of the NADO reports was not an option. It may be that our sample is not representative, but it comprises – in relation to Article 14.4 – the most Code-compliant NADOs, so there is reason to believe that the NADOs represented in the sample are among the most advanced and ambitious ones who are examples of best practice. If that is indeed the case, best practice NADOs still have room for improvement because even the NADOs that met our minimum criteria for inclusion did not live up to WADA’s requirements either. There were many gaps in the reports, as it appears from Table 1. • the total number of published reports in the period 2002–2014. • the number of employees in the organisation. Where the information we wanted was completely lacking, there is a ‘no’, where it is incomplete, the parentheses after a ‘yes’ indicate the number of reports in which the details we wanted were not available. As annoying as the gaps in reporting are, they still provide a picture of the development in NADO spending and testing effectiveness sufficiently for our purpose. • the USA from €5,971,619, in 2002 to €11,721,278 in 2014. • New Zealand from €1,212,194 to €1,726,417. The data – provided by the countries we identified to have a 100% increase in expenditure – covered a minimum of nine years, whereas the other five countries where we see an increase have provided information about expenses in a period of between three and nine years, which may explain why we see an increase below 100%, as shown in Figure 2. Russia provided information about expenditure in only one report and Korea in none, which makes it impossible to identify any changes in their cases. There are two apparent exceptions from the general trend. Ireland published information about expenditures as early as 2002, when The Irish Sports Council (ISC) was still in charge of the nation’s anti-doping operations. In 2003, an independent anti-doping agency detached from the ISC was established, and if we focus on the development since this agency took over, we find that the expenditures are the same in 2003 as they were in 2012. However, if we look at the development from 2003 to 2008, we see an increase in expenses much like the general trend. A possible explanation for the subsequent decrease could be that Ireland was hit harder by the financial crisis than the other countries in our sample, forcing the country to make cutbacks in public expenditures including means allotted to anti-doping. If we look at the final 2014 report, we see a further increase in expenses compared to 2012, which indicates that Ireland is back on track after the 2008 financial setback. The other exception is Poland. 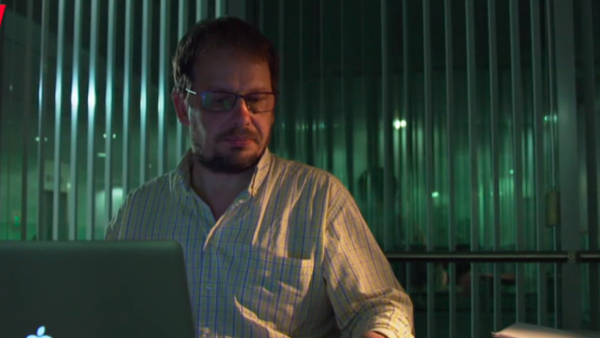 The Polish anti-doping agency reports expenses amounting to €1 million in the first year. Two years later, when the agency again published information on expenditure, the amount had dropped to less than half of this. The 2009 report states that the expenses include laboratory analyses. In the 2013 report, a green ‘fact bubble’ informs us that two million zloty (€490,531) is the ‘Commission’s budget, without funds allocated for laboratory analyses’. The report also states that ‘The year 2013 was significant for two reasons – the Commission’s budget was the highest ever, and so was the number of doping tests’7. This does not correspond with the 2009 budget. Therefore, a change in reporting method is the most likely explanation of the remarkable reduction from 2009 to 2011. From 2011 to 2014, we see a steady increase in expenses from €430,797 to €619,329, which is consistent with the general trend. 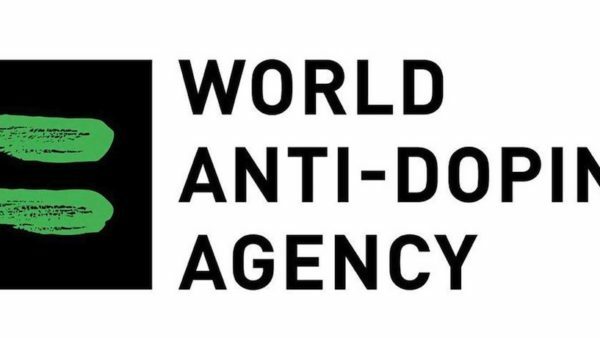 So the overall picture is that during the 12-year period covered in this study there has been a significant increase in the funding of both WADA and the NADOs, which are doing the practical anti-doping work on a day-to-day basis. The core of anti-doping work is the testing programme, so we expected to find an increase in the number of tests in parallel with NADO budget growth, and this expectation has been met as Figure 3 shows. In all but one NADO in our sample, Australia, more tests were taken in the final year than in the first year. The increase is remarkable and even though the number of tests is not growing with the same percentage as the NADOs overall expenses, the general tendency is that where we see an increase in expenditure the number of tests performed goes up, even though there are divergences from the general trend. The Norwegian anti-doping agency, for example, has had an uninterrupted increase in expenditure from €1,383,110 in 2003 to €4,673,768 in 2014. Nevertheless, in 2011 the number of tests decreases by 26% from 3,359 in 2010 to 2,462, which is the lowest number of tests since 2003, and Australia is even more remarkable as in 2014, it spent more than double the amount spent in 2002 – even though it took fewer tests. It is notable that such divergences are much more common than the opposite: that the number of test increases in years where NADOs report decreasing expenditures. We do not know the reason why NADO expenditure sometimes increases while testing activity is reduced, but a possible explanation is that they have learned to test smarter and thus enhanced the hit rate. 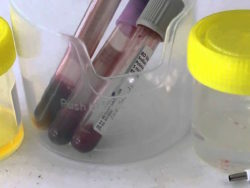 Alternative explanations could be increased numbers of blood tests – which are more expensive than urine testing – or that more money is spent to cover out-of-competition testing. So before we take a look at how money is spent, let us turn to the number of positive tests to see if the testing efficacy has improved over the years, and – in case it has – by how much. All other things being equal, if the number of positive tests increases with the same number of tests taken, anti-doping would have improved in so far as its mission is to find and sanction doping athletes. Our data does not indicate that anti-doping has improved in this respect. No NADOs in our study boast a nominal increase in positive tests over time. Germany comes closest. The German anti-doping agency has published the number of positive tests in seven successive years from 2008 to 2014. In 2008, a total of 13,268 tests resulted in 66 positives. In 2012, the number of positives peaked at 97 positives from 15,123 tests. The number of tests goes down to 13,417 in 2013 and 13,909 in 2014 resulting in 79 and 86 positives respectively. That translates to a relative stable hit rate that from 2011 to 2014 varies no more than 0.05%. This, however, can hardly be interpreted as evidence of a significantly improved anti-doping work in Germany. Firstly, other NADOs have achieved an increase in positive tests over three- and five-year periods, after which the number drops as illustrated in Figure 4. So, the positive tests curve of Germany may reflect an accidental peak. Secondly, the German curve drops significantly from 66 in 2008 to 41 in 2009 before the increase takes off. In 2010, the number of positives tests is 66, the same as in 2008 but this result is from 812 more tests, so the hit rate is effectively lower. Thirdly, the success rate of the German NADO is no higher than 0.64% at its peak, which still is lower than the Dutch NADO’s 1.22% and Poland’s 1.97% in 2012; and is only level with Canada’s 2011 result, which represents a drop in Canadian positives from 0.71% the previous year. Finally, if we look at the average hit rate, Germany has a very modest score, namely 0.5% which is in the low end, as Figure 5 shows. It is true that the Polish NADO boasts the highest average percentage positive tests of all the NADOs in our sample, namely 1.44% during the five years where data was published, and it may represent the most successful. Still, with a success rate below 2% and the sparse data provided, we are reluctant to take the Polish data as evidence that anti-doping work is improving, since the success rate is lower than the Dutch 2.35% and 2.05% in 2006 and 2007, respectively. The general conclusion seems rather to be that: regardless of how much the funding of the various NADOs has grown, the outcome in terms of positive tests has been negligible, as illustrated in Figure 6. We note above that funds available for anti-doping have generally increased over the years and that the number of tests taken has increased concurrently – albeit not correspondingly and not in every case. Since the expenses are higher than the cost of tests, we thought it relevant to look into other expenses. However, very few NADOs publish detailed budgets and those which do, do not categorise their expenses uniformly, so we have been unable to establish a transparent overview. Therefore, in addition to Figure 7 that shows the development of employment in all the 11 organisations that provide information on the number of employees, we have decided to present only a few disparate facts we have identified in WADA, Anti-Doping Denmark (ADD) and the United States Anti-Doping Agency (USADA) that gives an indication of how the available anti-doping funds are spent. It is true that some NADOs, ADD for example, test recreational athletes. When a NADO report mentioned that a sample was from a recreational athlete we did not use it in this study. 3. travel and accommodation costs, including board member fees. 3. Science, research, and development – to initiate and support advancements in the detection of and testing for prohibited substances, to conduct supplement research, to review therapeutic use exemptions and to host annual USADA symposium on anti-doping science. These expenses amount to US$2,255,646. Regardless of whether we look at a big or a small NADO, most of the available resources are spent on testing, education and administration, whereas WADA’s largest budget item by far is salaries paid to employees. Having said that, the NADOs have also brought in more staff over the years as illustrated in Figure 7. Since WADA was founded, there has been a gradual increase in money spent on anti-doping and this has coincided with an increase in the number of tests taken without any significant increase in the number of positive tests. It actually appears that the number of positive tests has slightly declined over the years. If prevalence of doping in elite sport were no more than 2% – as has been WADA’s official estimation based on the number of adverse analytical findings – the situation would be under control. The decline in positive tests we observe could then be interpreted as testament to the success of the double strategy of deterrence through testing and prevention through education. However, research shows that the prevalence of doping among elite athletes is much higher. A German study based on data collected in 2011 by use of the Randomised Response Technique (RRT), calculated the prevalence to be between 15% and 35%8. This suggests that the prevalence is stable over time. Other studies support the perception that the ‘data from official doping tests underestimate the true prevalence of doping in elite sport’9. The latest overview article on the prevalence of doping in elite sport, by de Hon et al., recognises the RRT in combination with ‘models of biological parameters’ as ‘(t)he most accurate way of estimating the prevalence of doping in elite sports’ and they conclude ‘the prevalence figure can be expected to be far higher than the average of 1–2% of athletes who are caught’10. If it is true that WADA only catch one in ten and the number of doping athletes has been fairly stable despite WADA’s effort to oppose it, our observations must be interpreted differently: The situation is not under control. Despite the global fight against doping having been intensified and funds to support the cause having increased gradually since 2002, the situation is very much the same. It is still the odd unlucky, negligent, and inexperienced athlete who dopes without expert assistance that is exposed and ousted. 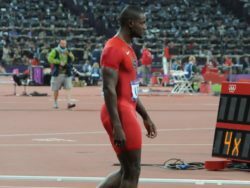 In this light, the statement made by the WADA Commission, formed to investigate the lack of effectiveness of anti-doping testing, that stakeholders’ unwillingness to provide sufficient resources was a major reason for the lack of success seems unfounded. From the information we have been able to gather, there is no basis for maintaining that increased funding improves the effectiveness of anti-doping. Maybe this is because the resources are misused by WADA and the NADOs, some of which may not be fully committed to the cause as intimated by the Commission. But if that is true, it is hard to see how even bigger budgets would change that. Before requesting more resources, WADA should prioritise making the NADOs Code compliant and secure harmonisation of their efforts. In 2005, a Norwegian study found that out of 90 registered NADOs, ‘not even half have programmes that meet the demands of the [World Anti-Doping Code]’ and no more than 20 could be deemed good if this ‘means ISO-certification or taking out-of-competition tests for WADA, or the following of the [World Anti-Doping Programme] or conducting a reasonable number of efficient controls12’. Despite an increase in the number of tests, the data we have found provides no basis for suggesting that the effectiveness of anti-doping controls have improved since the Norwegian study was conducted. And if we read the World Anti-Doping Code literally – that ‘Anti-Doping Organisations shall, at least annually, publish publicly a general statistical report of their Doping Control activities’13, we are down to two organisations that in this respect are Code compliant – namely WADA and USADA. Other NADOs, not represented in this study because of their lack of online available data, could be Code compliant. But, in these digital days, publishing online seems to be the most likely solution. It is true that more tests have been conducted, accounting for the largest portion of money used without increasing the hit rate, which is our yardstick for better anti-doping. The question much harder to answer is whether education works as a deterrent14. When we look at the data from NADOs on the amount spend on education work, little information is provided, but some NADOs have increased their education budget. Money spent on education is often categorised as ‘education and research’, ‘education and awareness’ or ‘education of test personnel’, so the precise amount used on education of athletes is difficult to assess. If we take ADD as an example, it spent €360,000 on education in 2012, roughly the same amount as in 2010 (€376,000) but less than in 2008 (€565,000, according to the 2009 report). In 2014, it spent approximately €560,000, which almost equals the 2008 spending. This is more than the €224,000 spent in 2002, but it is a small amount compared to the overall expenses and it has not reduced the increase in funding spent on testing. This illustrates the difficulty in assessing the effect of anti-doping education funding. The only thing we can say for sure is that money allotted to education varies a lot from year to year. We concede that this study is lacking in many respects due to the data gathering method we have used, but at least it allows us to make one important conclusion: the NADOs which are policing the athletes and bring charges against them if they fail to submit whereabouts information or to comply with the letter of the Code in any other respect are, except for one, not Code compliant themselves. The gaps in the data we have at hand for this study is proof of that. It furthermore provides sufficient information to conclude that despite anti-doping being ineffective to protect ‘Athletes fundamental right to participate in doping free sport and thus promote health fairness and equality for Athletes worldwide’ and to ‘ensure harmonised, coordinated and effective anti-doping programmes at the international and national level with regard to detection, deterrence and prevention of doping’13, it nevertheless plays a role in society of growing importance. More money has generally led to more tests, and despite the meagre outcome in form of more adverse analytical findings, the procedure is still significant in that it keeps laboratories busy and thus contributes to job creation. The same is true for the NADOs. It does not seem to make any practical difference what they do, but we can see that the number of employees in this field is growing. Thus, it is safe to say that anti-doping contributes directly to the increase of the gross domestic product in countries around the world. The transportation and logistics required in relation to the work is another positive factor to the same effect. It might be argued against this claim that possibly anti-doping personnel might make stronger economic contributions to society in other industries, but our point is that these other industries will appoint the number of people they need regardless of anti-doping, so anti-doping has in any case made a positive contribution to job creation and GDP. 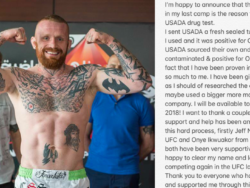 So, even if it seems hard to argue that anti-doping is contributing positively to secure fair play and clean athletes right to participate in doping free sport, it does definitely a lot of good for a lot of people who have an outcome directly from it or in the many form of services it requires.